Pallant House’s DeLongi Room plays host to ACS member Hans Feibusch’s latest exhibition. Feibusch, a German émigré artist, fled Germany after he found himself blacklisted as a ‘degenerate artist’ by the Nazi Party. By 1938 he had settled in London. 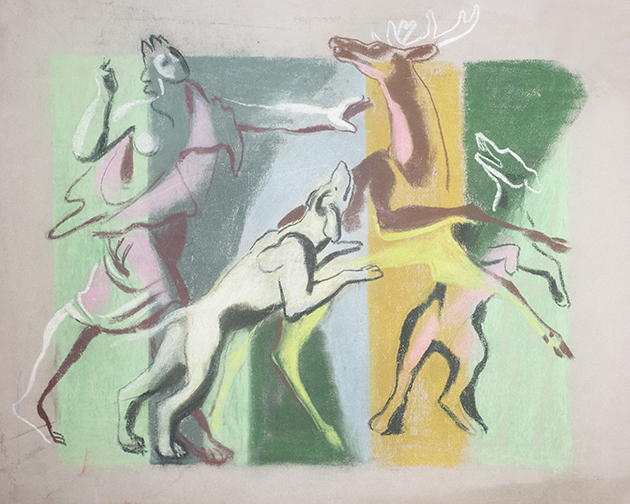 Unseen Drawings showcases a selection of exquisite classical figure drawings and mural studies. The selection of work used for this exhibition has been drawn from the substantial archive gifted to Pallant House Gallery from Feibusch’s London studio, which, as the exhibition’s title suggests, has never previously been exhibited. For more information visit the gallery’s website here.